Johor Chief Minister Hung Out To Dry By Wisma Putra – Sinking It In! 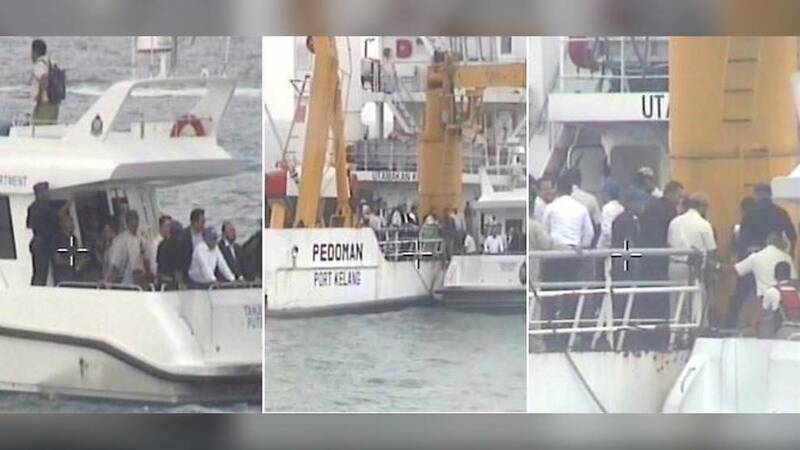 On 18 January, Wisma Putra (Malaysia’s Ministry of Foreign Affairs) issued a statement in response to the claim by Johor’s Chief Minister Osman Sapian that his visit to the Malaysian vessel Pedoman in disputed waters was endorsed by the Minister of Foreign Affairs Dato’ Saifuddin Abdullah and his deputy. Wisma Putra said in their statement that they had repeatedly tried to contact the Chief Minister’s Office to advise him against visiting the vessel. However, Wisma Putra did not manage to stop the visit as the Chief Minister was already en-route to the Pedoman at the time of their calls. As a result, Malaysia received a diplomatic note from Singapore expressing its dismay at the Chief Minister’s actions, and consequently cancelled the 14th meeting of the Joint Ministerial Committee for Iskandar Malaysia (JMCIM). It is unclear what exactly transpired between the Johor Chief Minister and Wisma Putra. However it does seem that Wisma Putra is eager to maintain its relations with Singapore, even it if means hanging their own out to dry.